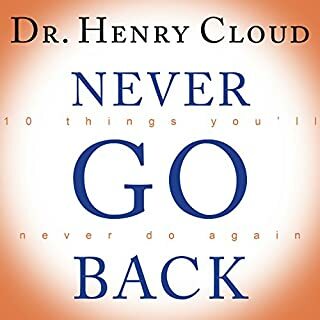 In Never Go Back, best-selling author Dr. Henry Cloud shares 10 doorways to success - and once we walk through these new pathways, we never go back again. His proven method - based on grace, not guilt - outlines 10 common life patterns that sabotage success and lays out clear, concrete steps you can take to overcome them. You'll see your relationships flourish, your personal life enhanced, and your faith strengthened. Ever wonder why some people always seem to get what they want out of life while others don't? 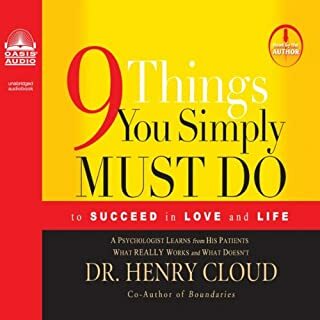 In 9 Things You Simply Must Do, Dr. Henry Cloud helps you connect the dots and respond to situations in the same manner as successful people. The secrets presented here are so simple and easy that they are often overlooked. Apply these nine practical strategies and enjoy the success they're sure to bring into your life. No one has influenced the person you are today like your mother. The way she handled your needs as a child has shaped your worldview, your relationships, your marriage, your career, your self-image - your life. Our Mothers, Ourselves can help you identify areas that need reshaping to make positive choices for personal change and to establish a mature relationship with Mom today. Drawing from the latest scientific and psychological research on the quest for happiness, The Law of Happiness reveals that the spiritual truths of the Bible hold the secrets to the happiness we desire. As Dr. 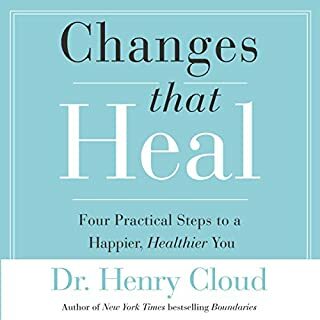 Cloud unpacks these universal, eternal principles, he reveals that true happiness is not about circumstances, physical health, financial success, or even about the people in our lives. In other words, it’s not about the factors that are frequently beyond our control. How do you know you're ready to trust again ... and what does it take to be ready? Painful relationships violate our trust, causing us to close our hearts. But to experience the freedom and love God designed us for, we eventually have to take another risk.In this breakthrough book, bestselling author Dr. John Townsend takes you beyond the pain of the past to discover how to re-enter a life of intimate relationships. Whether you're trying to restore a current relationship or begin a new one, Townsend gives practical tools for establishing trust and finding the intimacy you long for. Beginning with self-examination and setting realistic expectations, the authors explore how couples can nurture and master healthy communication, build trust and enhance the romance in their marriage. 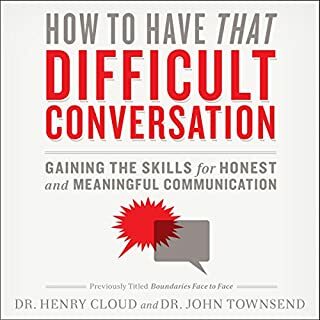 As in their other best-selling literary endeavors, Cloud & Townsend take it a step further as they help couples solve destructive conflicts and offer strategies for avoiding temptation that can destroy God's plan for marriage. The person who pushes your buttons is likely someone who matters to you - a spouse, a parent, a boss, a fellow church member. Almost always this difficult person is connected to you by blood, love, faith, or money, so you can't just end the relationship without causing pain and upheaval in your life. Our friends and today's culture will often advise us to abandon such relationships quickly - to end this unpleasant chapter and get on with our lives. 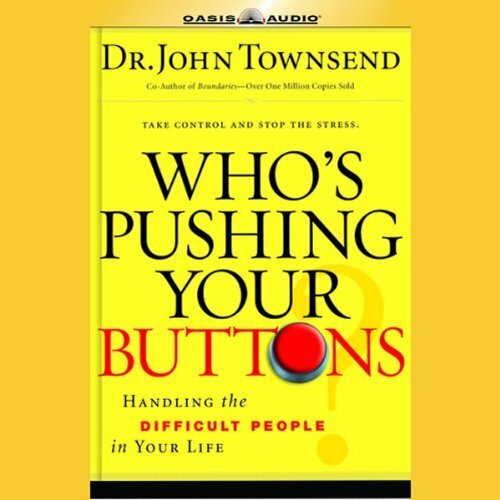 Psychologist and author Dr. John Townsend disagrees. "Your button-pusher is not someone you would easily and casually leave. You are intertwined at many levels. It is worth the trouble to take a look at the ways the relationship you had, and want, can be revived and reborn." Many times when you seek advise on dealing with difficult people you are encouraged to leave the relationship because it is hopeless. You can't change them and there is little hope for change. 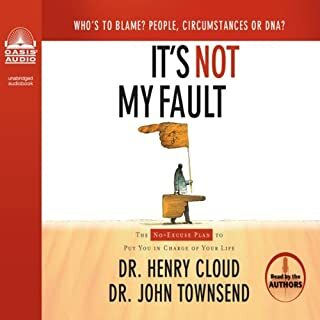 You can change you and your reaction to them and through scripture and wise Counsel John Townsend gives you hope for healing, as well as insight on ways you are contributing to the problem. He offers help in formulating a plan to make life better for both of you. It's a good book. Biblical principles. This book was recommended to me by my therapist. I'm glad to know I'm not alone in this area. But, I think that me and my button pusher (mother) just need to be separated entirely. This book will be extremely useful to most though. Would you listen to Who's Pushing Your Buttons again? Why? I will listen to this book again. This author has terrific insight on emotional and recovery issues and I always find helpful information in his books. Even if you aren't having relationship problems, you can find helpful tips for any relationship in this book. What was one of the most memorable moments of Who's Pushing Your Buttons? I can't really name one moment that stood out, but much of the book was very helpful. The author is a psychologist and Christinan. His voice is very pleasant and easy to listen to. Since the author is reading his own book, he makes the stories come to life. This book helped me by validating some struggles and providing real applicable solutions. The expectations outlined in this book also assisted in aligning my expectations in life! Must read! I didn't know there would be so many references to God and quoting from scripture. I want looking for that kind of book but I enjoyed this and feel I'm a better equipped to handle some button pushers in my life. And am more aware of my own short comings. Very good information read usually very well and with good tonal quality. Sometimes a bit too fast for the depth and seriousness of his subject matter. We intend to return to the book to try to understand the method for helping our button pusher. As former speech professors we liked his accent, his warmth and his professionalism. 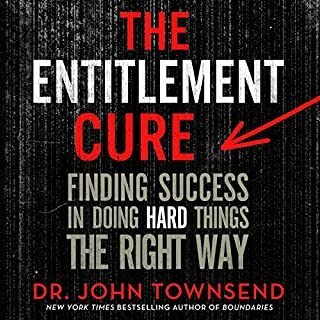 Another amazing book by Dr. Townsend! This book is full of practical advice and wisdom. It is useful to anyone who struggles with a difficult person. Powerful read. Definitely worthwhile material. Not what I was expecting but sucked me in quickly. Loved learning how to correctly deal with my button pushers so that I am not all angry and frustrated. I will be listening to this again! Could be summarized as "give it up to God." basically. I'm Christian, I've got no problem with the Christian take on it. I thought maybe other reviewers that mentioned the God part were perhaps offended.... I now see they mention it because the catagory could almost be religious study meets 12 stepper additional study aid. Lots of passage quotes and the advice is to pretty much set some boundaries & trust in God. The information is fine, but nothing new in approach, information or perspective that you won't hear from any basic support group. If this is your first introduction to the world of conflict, ideas like codependency, enabling etc. it might be a great place to have a gentle start. The narrating is well done, that is the end of the positives. Like a bad movie that you hope will turn a corner and improve but doesn't. The author runs off countless overgeneralized personality types that lack insight and truthfulness. He rubs this in with a shallow sense of spiritual understanding also, by saying people are sinners for having a rough edge to their manner. If you are after substance and genuine results, this isn't for you.